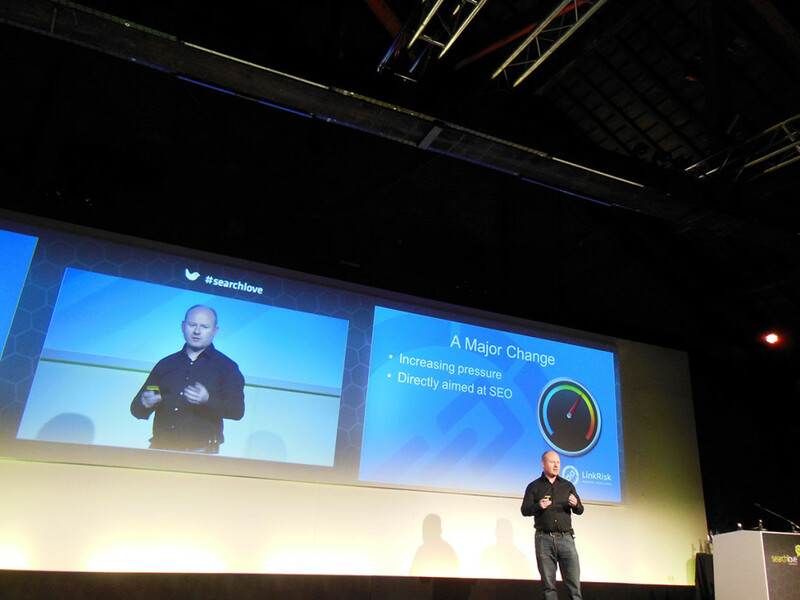 Paul Madden, one of the founders of LinkRisk gave a great presentation at Search Love about Removing Spammy links. This was particularly useful to those who have had a Google penalty. Paul started the presentation by taking the audience through his history and how started his career in link building, from building scraper sites, to working in affiliates and now helping companies remove links. Pre 2012 – links either counted or they didn’t. So people used to throw as many links as they could to see their rankings improve. Post 2012 – Google changed their stance. This was a major change and increased the pressure on link builders. Google adopts very quickly and link builders have to as well. Google introduced Penguin last year which was directly aimed at those who do SEO. They introduced link penalties. So Paul and his team needed to change. As a result, Paul helps companies who have been affected by the Google updates and now have a penalty.